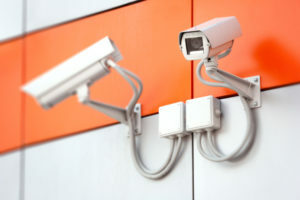 Estimates suggest that 67% of burglaries can be prevented by installing video surveillance business security systems. This is, or rather was good news. Now, however, a new form of theft is occurring with increasing frequency. Organized Retail Crime (ORC) costs the retail industry $30 billion per year, and a shocking 97% of retail stores have admitted to being a victim of ORC. Simple shoplifting is generally a cut and dried case. A store catches the thief in action, they are given a slap on the wrist, and everyone moves on with their lives. ORC is a different ballgame. Lifters are not independent agents, but rather more like contracted employees of a grander scheme. The way it works is a group of lifters flood one retail location for a certain amount of time. When it gets too hot (too much attention) they leave, letting the store owner believe they solved the problem. If any one person is caught, it doesn’t matter, because there are always more lifters to fill an empty position. While video security systems are no less effective in catching individuals, they don’t deter ORC groups as easily. The second layer of the ORC strategy is made possible by the wide use of online shopping. When once lifters had to go to physical pawn shops or flea markets and sell their lifted goods at a fraction of the potential cost, they now have relationships with online fencing outlets (sellers of stolen goods). Currently, crime apparently does pay. So what can shop owners do? Well, by using your existing security systems, or by purchasing more advanced equipment, you can observe the thefts and catch individual shoplifters as usual. If you notice an elevated shrink trend that immediately drops off, alert other stores in your area, or other chain locations immediately. Inform the police that you have reason to suspect an ORC group is running through town, and provide them with video surveillance footage so they can identify suspected organized lifters. Security and alarm systems are still highly effective at preventing theft, but getting ahead of the organized criminals entails taking your security measures a step further. Organize with retail stores in your area to fight back and keep your products safe.